Foxconn to fund startups in the pursuit of next Google Glass, other wearable tech? 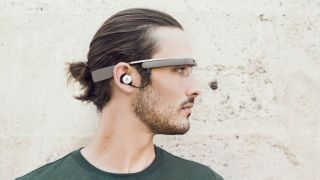 Foxconn to pursue Google Glass-like tech? Foxconn, Apple and others hardware manufacturer, is reportedly joining the wearable technology sector starting in early 2014. Two sources told Bloomberg that Foxconn is launching a new investment fund to finance startups developing new wearable devices, including the next Google Glass-like product. Foxconn supposedly enlisted the help of a new group called the Syntrend Creative Park Company to administer an incubator wallet of $200 million New Taiwan dollars (about $6.8m/£4.1m/AU$7.4m). Twenty startups will be selected to develop hardware with the possibility of support for new software developers as well. The end goal of this incubator seems to be focused on creating wearable or connected device technologies such as the Pine Smartwatch or Vuzix M100 smart glasses. In a move to make things pro bono, Syntrend purportedly plans to work with local and international universities to promote student programs and to sponsor startup competitions. However, actual products from this development initiative could be a long time off. The participants for the trial will reportedly be selected in the first quarter of 2014. Meanwhile, real operations, such as providing offices and advisory services for startups, won't begin until the end the next year. While Foxconn is better known for manufacturing products for Apple, it's recently been trying to strike out with products of its own including a rumored and unofficial iWatch. Foxconn seems to be putting its future stake in wearable tech - namely, it's own wearables - but we have to wonder; Does the have something to do with the head-mounted display patent we saw from Apple December 10? Start streaming now, Spotify is free on all mobile devices.